We had heard a well-sourced rumour a while back that one of the biggest fashion houses in the business was about to launch themselves as entirely seasonless—and now we can confirm that the boundary-pushing, game-changing player is indeed Burberry. Not only that—they're combining men's and women's shows into one gigantic stonker of a presentation twice a year. And, just in case that wasn't enough change, all of the sub-brands you know (Burberry Brit, London and Prorsum) are being absorbed into one mega-line. 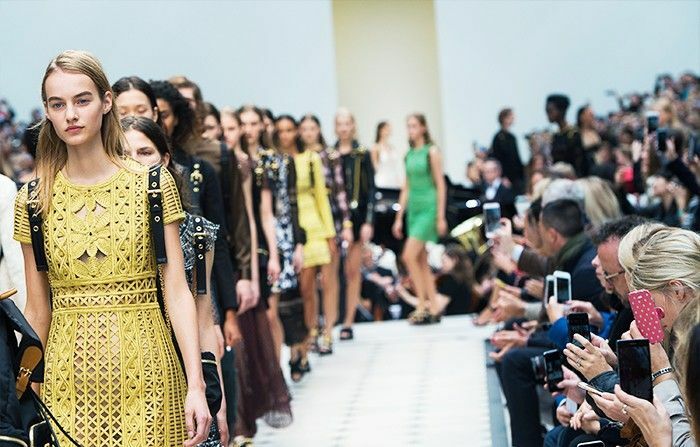 As a brand who has placed itself at the very forefront of fashion democratisation and tech within retail, Burberry was, of course, one of the first brands to experiment with the whole see-now, buy-now concept on the catwalk. It would appear that the system worked, and now, instead of the industry's age-old pre-Internet, six-month fashion schedule, what you'll see this September on the runway is what you'll get straight away in stores. No waiting around, no getting bored, no way you'll miss out on It items like the current Burberry backpack boom. How best to celebrate? Head on over to Burberry and check out these nice new-in pieces.